Been looking into organizing our workspace to enhance productivity. With computer being an indispensable tool, our desks are predominantly occupied by computer related hardware, like monitors, keyboards, mouses, tablets, etc. More often than not, I found myself frustrated with having little room to fit any paperwork that I still have to work with. 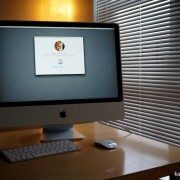 For myself, I have been reducing my computer footprint by switching from a PC to an iMac. I used to have a tower, then a couple monitors, a Microsoft Natural 4000 keyboard, and a Logitech MX Revolution mouse. They all take a significant amount of room on and off my desk. 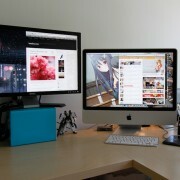 Since I switch to an iMac, I was able to reduce the number of monitors to one. I just find switching between applications in OSX a lot smoother and more visual with Expose. 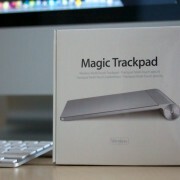 The Apple Wireless Keyboard and the Magic Mouse enable me to free up more desk space and be more “wire free”. For my wife, she is still using a Windows notebook and she uses a second monitor. So I bought her a Ergotron Neo-Flex LCD Arm to free up some desk space. 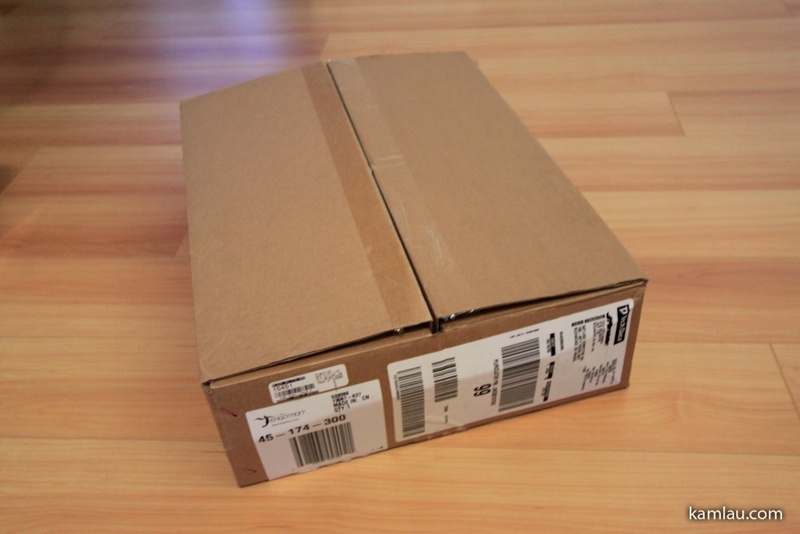 It came in a box that protects very well. 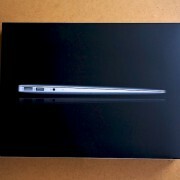 It is also easy to unpack. 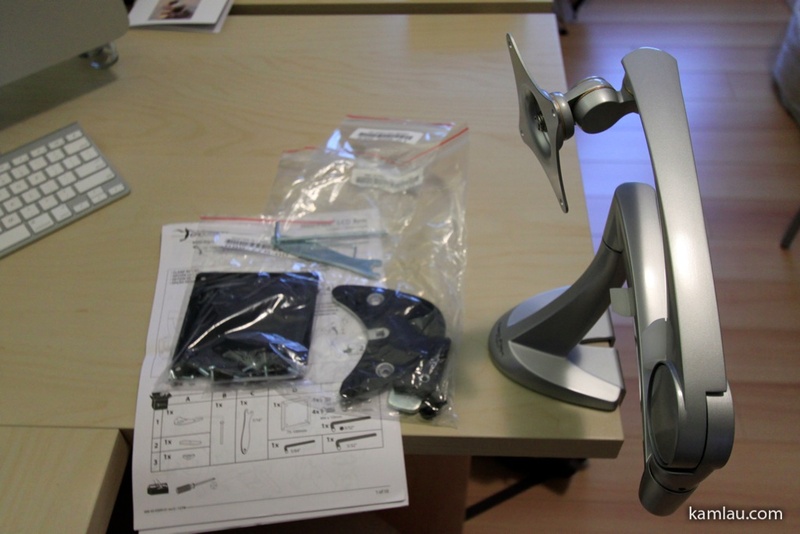 It came with an instruction manual, a 75mm to 100mm VESA mounting adaptor (black rectangular plate in photo), a desk mount adaptor if you need like to install it through a hole you happen to have on your desk, some simple tools and some screws for securing your monitor to the arm. Before using the monitor arm, my wife’s desk looks like this. So let’s see how the monitor arm can help. First, I have the monitor arm mounted to the left side of her notebook. 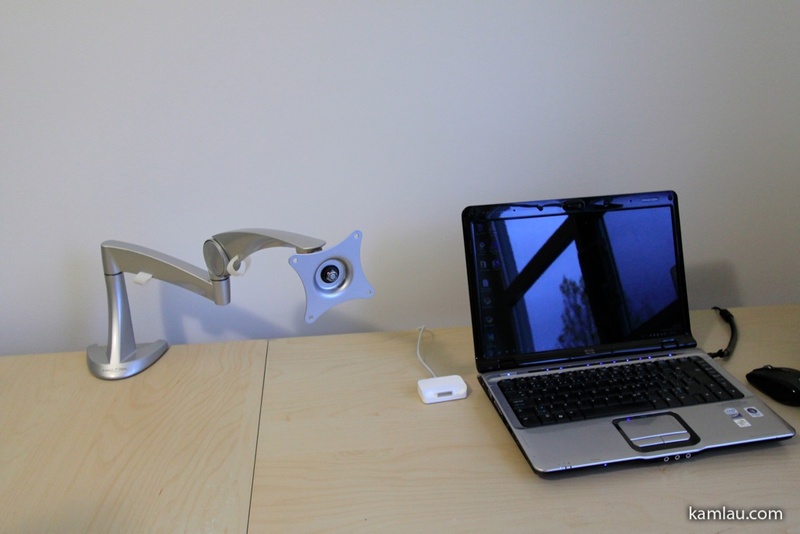 I tested the range of reach the arm has to find the optimum mounting location. Then I mounted the adapter plate to the arm. 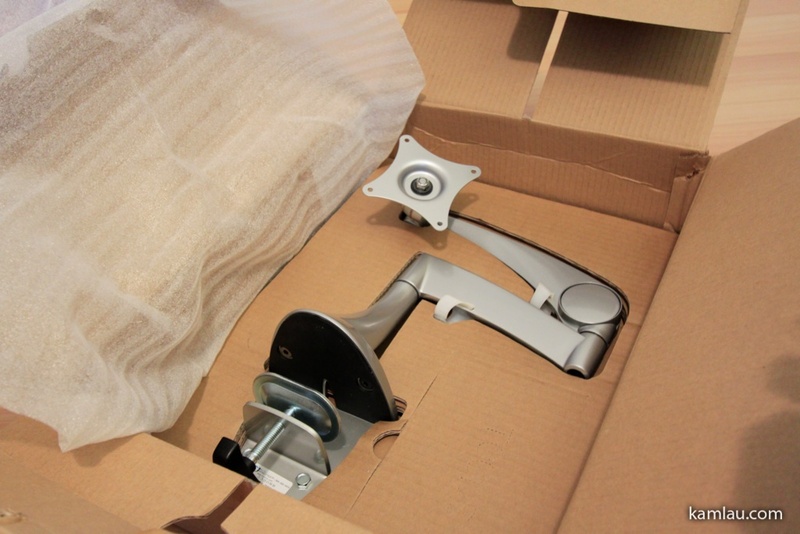 Notice that this version of the arm does not have any lever for tightening the joints. They are either free rotating or secured by screws. The middle hinge has a button style release that, when depressed, allows you to change the angle of inclination of the arm at the front. I am very happy with the finish of the arm. It is nicely spray painted. The joints got copper washers which are tough and yet provide the right amount of grip when tightened. Testing the height adjustment by tilting up the arm through the middle joint. 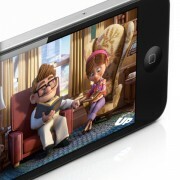 In my opinion, there is a design flaw of this arm. 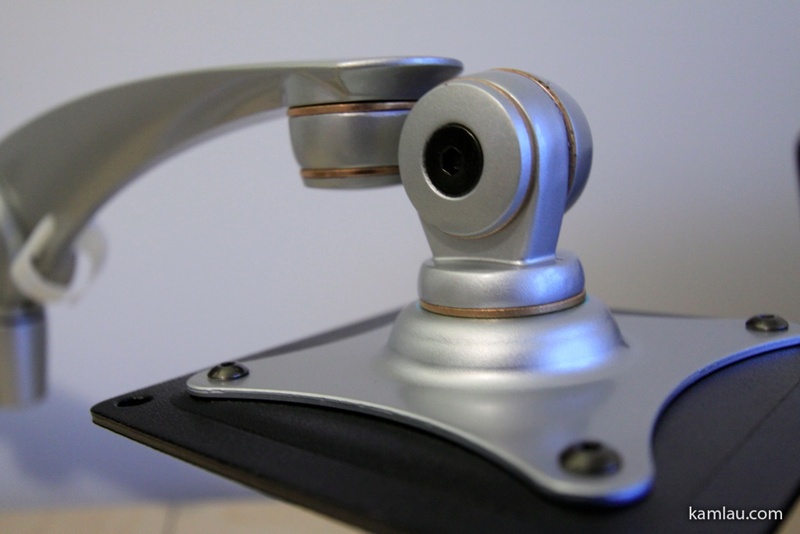 When the arm is raised up, the mounting plate cannot be rotated along the middle of the plate and an axis that is vertically perpendicular to the desk surface. 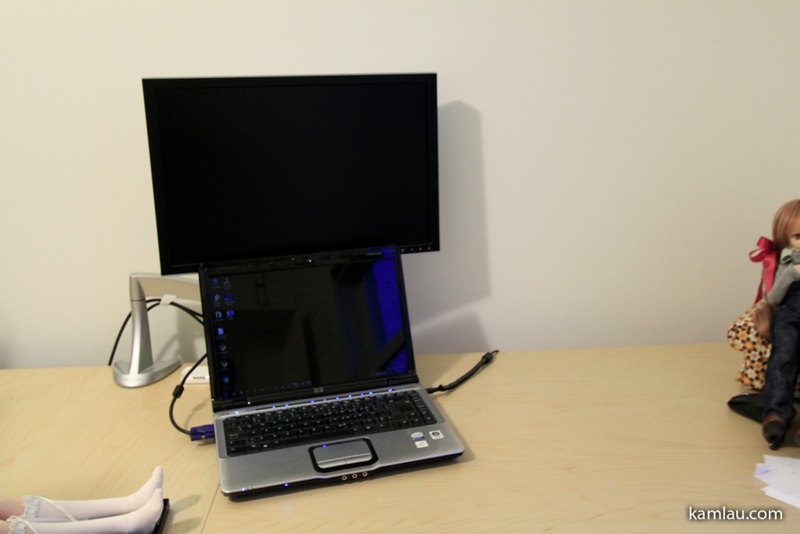 This can be a problem if you like to have the monitor raised up but want it to be placed as close to the wall behind the monitor as possible. 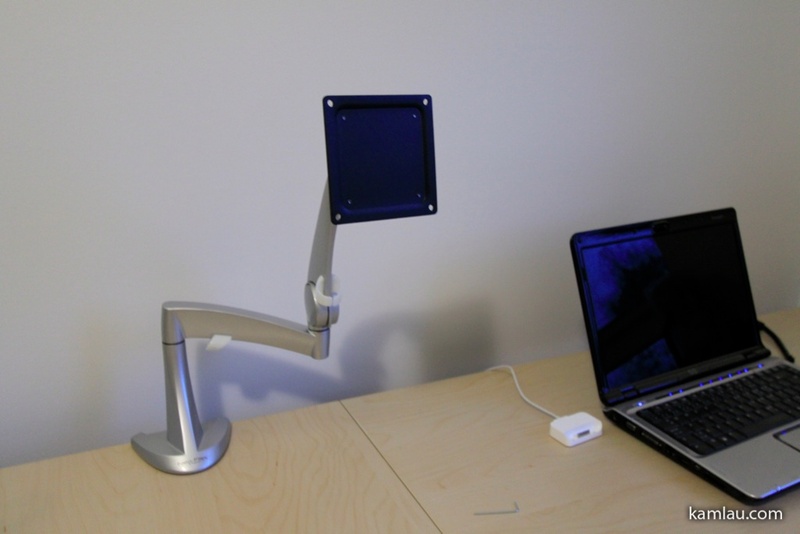 Even with the arm raised to the highest angle, the monitor is still tilting forward from the middle joint by a few inches. Now with a 20″ monitor mounted on it. It frees up the space required for the monitor stand that came with the monitor. 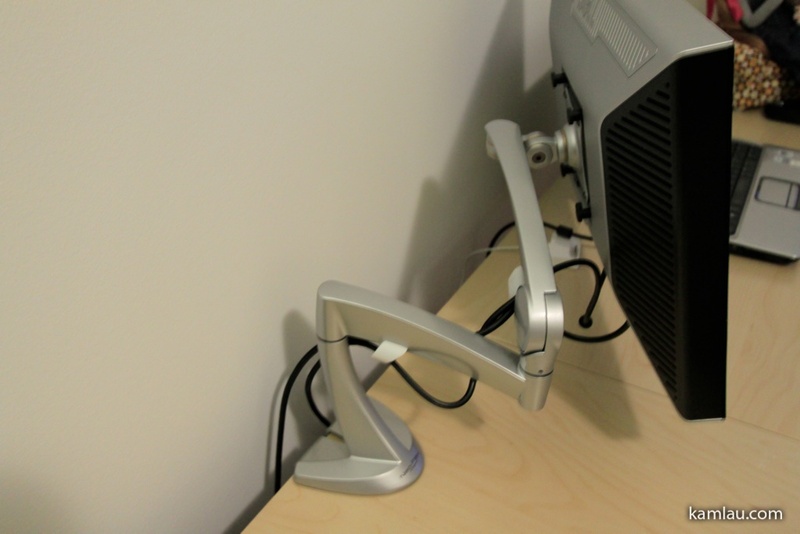 Also, the arm provides some cable management clips that secure the power and video cable along the arm. Testing an alternative position. This is for people who don’t have a lot of space to spread out a computer setup. 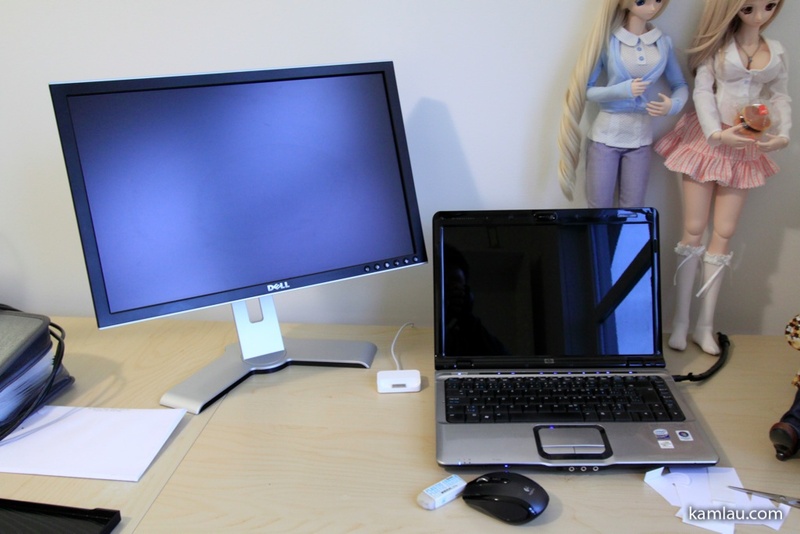 You can also lower the monitor as much as a few inches away from the desk surface. And finally, here is what the arm looks like behind the monitor. We also had it stretched out entirely and the arm is totally capable of supporting the weight of the monitor without any problem. 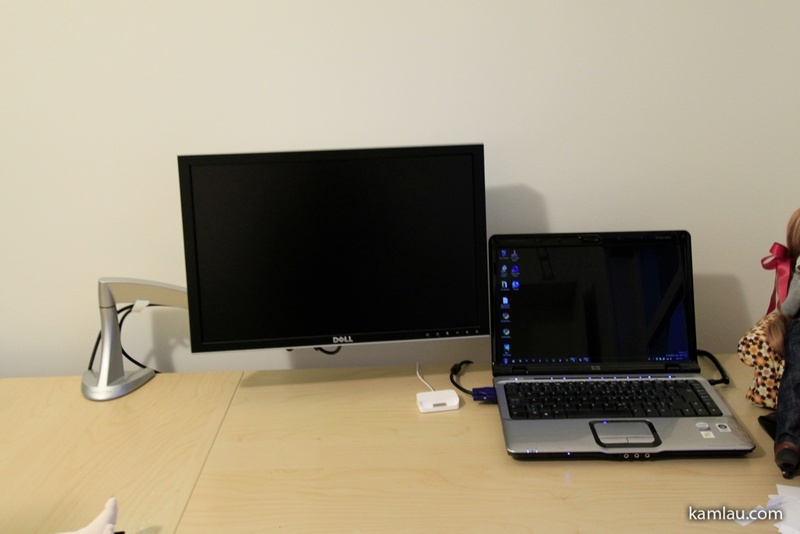 Just for reference, the monitor is a DELL 2007WFP LCD panel. It is 11 lb/5.0 Kg in weight. 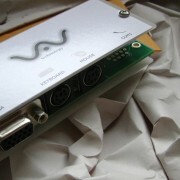 According to the specifications, the LCD arm can support a monitor of up to 8.16 Kg in weight. It has been a few weeks since my wife started using the monitor arm. Once installed, you don’t think much about it. It is out of the way and it works as advertised. The monitor arm actually makes it a lot easier for her to share her monitor with me as she can rotate it and bring it forward very easily. When I am done looking at her screen, she can easily push it back to where it belongs. 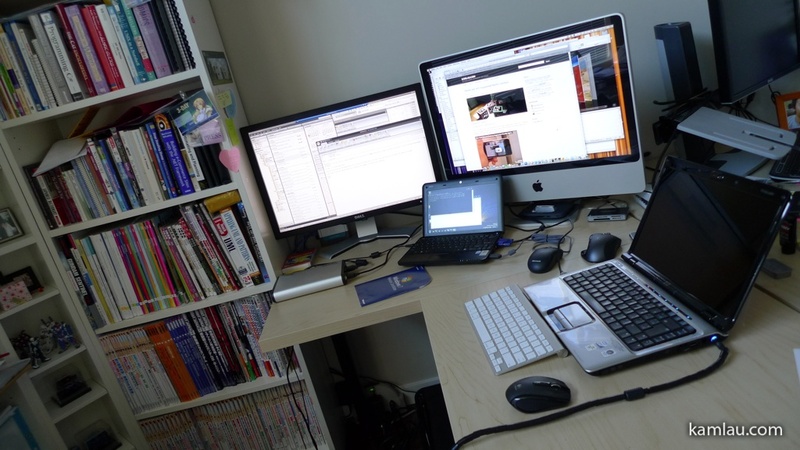 The fact that we don’t even think much of it is a very good sign as it has become so easy to use that it is just part of the workspace, as oppose to something that you have to think about when you use it. 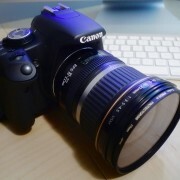 We bought it when it was on sale at NCIX. We saved about $10 from the regular price, that kinds of covers the sales tax here. I would recommend it if you like to save some desk space, need some simple cable management for your monitor, and find that you often need to share your monitor with someone and your current monitor stand makes it difficult to do so. 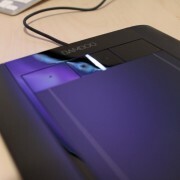 I just messed up bying another lcd arm (Multibrackets, desk mounted) and was wondering which one to step up to/upgrade to, now I know this one will work for me. 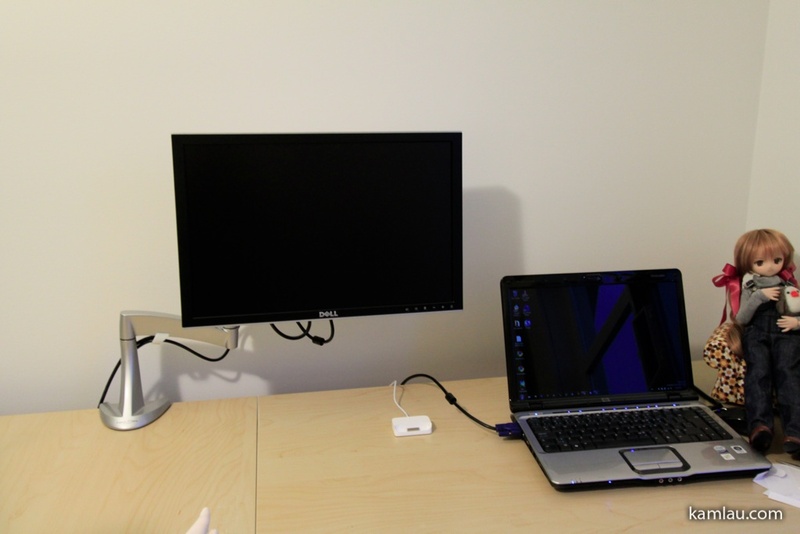 The one I got first couldn’t get a 24″ monitor closer to the desk than 16,5 cm (6,5 inches), which is ridiculous! The Ergotron looks much better in that aspect. Thanks for the nice review, and especially the pictures! We have been using it for over a year and it is still as solid as when we first got it. 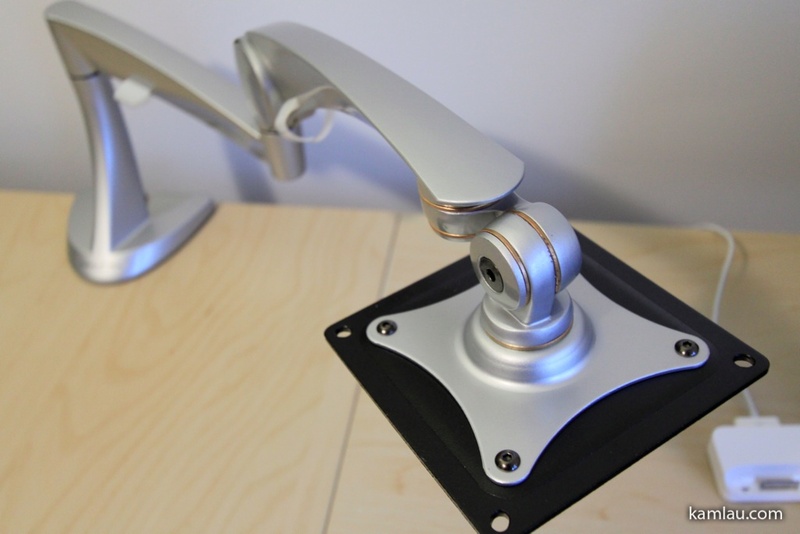 I am also interested in the LX Desk Mount. When it is on sale, it costs $120 + Taxes here.